Regular watchers of TV news will be familiar with the scene outside the Houses of Parliament, where journalists interview politicians on a patch of grass opposite Old Palace Yard, against a backdrop of Gothic architecture and the appropriately barbarian howls of protestors. While you’re hanging on every sage sound-bite tripping off the tongues of our bright, objective, Members of Parliament, and simultaneously wishing that the boring berk shouting out his repetitive, inane, message behind-stage would just fade away, you might spot a small, stone, tower over Laura Kuenssberg’s right shoulder. 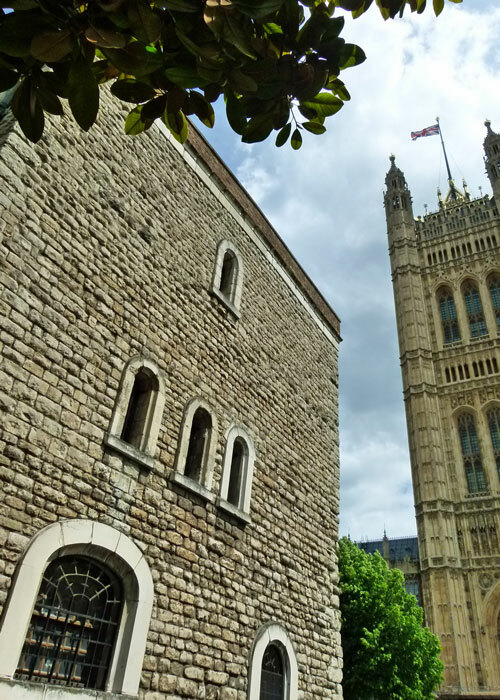 This is the Jewel Tower, a little gem of a building at the heart of Britain’s story and one of the very few surviving parts of the medieval Palace of Westminster. The patch of grass is called College Green, and at one time most of it would have been in the River Thames. Now, it covers an underground car park and, as well as being convenient and atmospheric for broadcasters and MPs, offers great photo opportunities for visitors able to negotiate their way through the media encampment that materialises there at times of national stress. How many people, though, realise the Jewel Tower is even there? 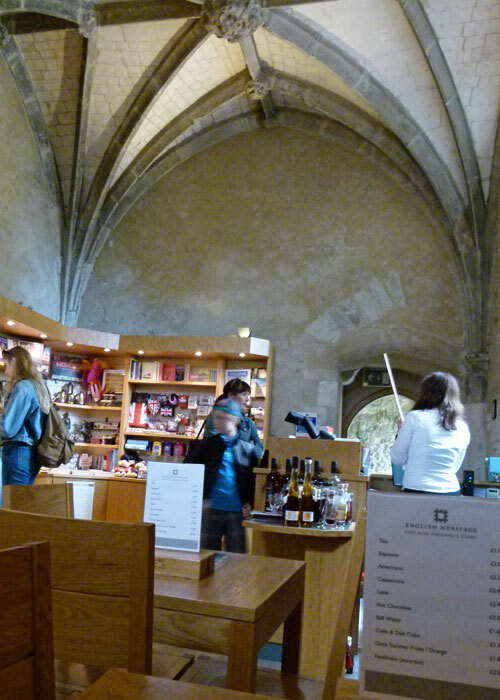 Ask where London’s Jewel Tower is and, understandably, most folk will direct you to the Tower of London. Not a bit of it; the Jewel Tower in Westminster is nothing to do with the Crown Jewels; it is where Edward III kept his personal treasures, and was known as ‘the king’s privy wardrobe’. Built on the north bank of the Thames, the Palace of Westminster was a principal home for English monarchs during much of the Middle Ages. The Jewel Tower was erected in the 1360s as a secure store within the discrete Privy Palace, the royal residential complex which was separate from the more public administrative and legal areas. The tower was surrounded by a protective moat and stood at the end of a garden. The moat could be a lethal place; William Usshebourne, one of King Edward’s keepers of the Privy Palace, choked to death on the bones of a pike caught in it. I love seeing what places once looked like and this reconstruction drawing of the Palace of Westminster in the late 15th century (illustration by Terry Ball and Richard Lea © Historic England) is really excellent. Westminster’s time as a premier royal residence came to an end in 1512, when a fire destroyed sections of the Privy Palace. In any case, in 1529, Henry VIII got his hands on Cardinal Wolsey’s nearby York Place and developed that as a new royal residence, Whitehall Palace, which would have had its own privy wardrobe. So the Jewel Tower seems to have become a repository for sundry royal bric-a-brac, including dolls once played with by the princesses Mary and Elizabeth. 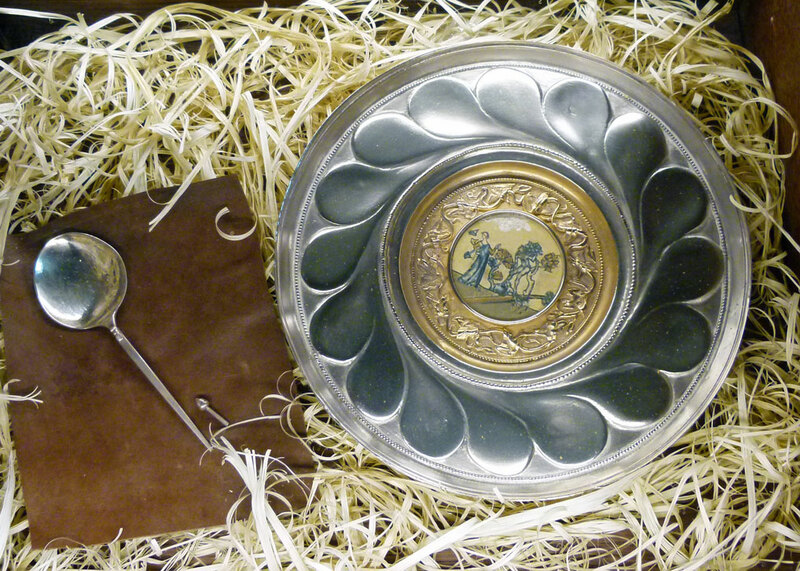 By the late Tudor period, though, it was given into the custody of the Clerk of the Parliaments, the official who recorded sittings and committee meetings for the House of Lords. 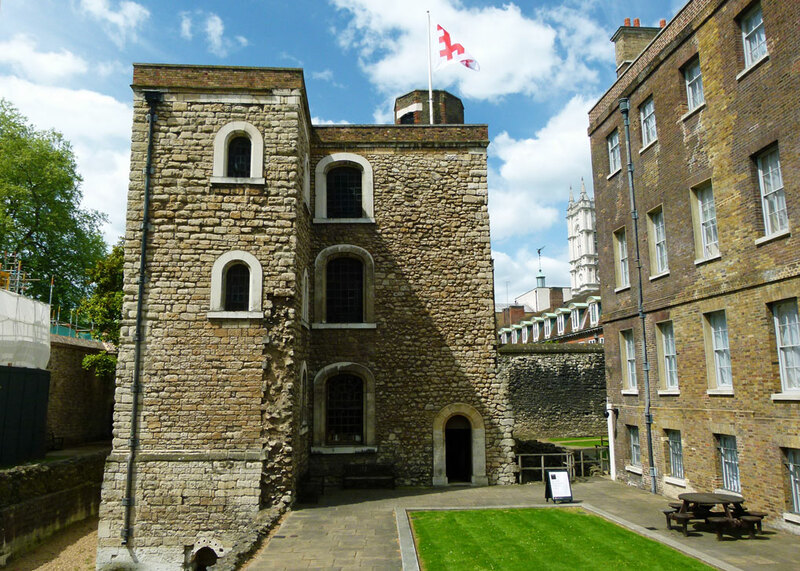 A dwelling was built for the clerk against the tower, and the first floor was used to store Acts of Parliament. In 1621, the store was upgraded with brick vaulting and an iron door to one room, providing better protection against fire. 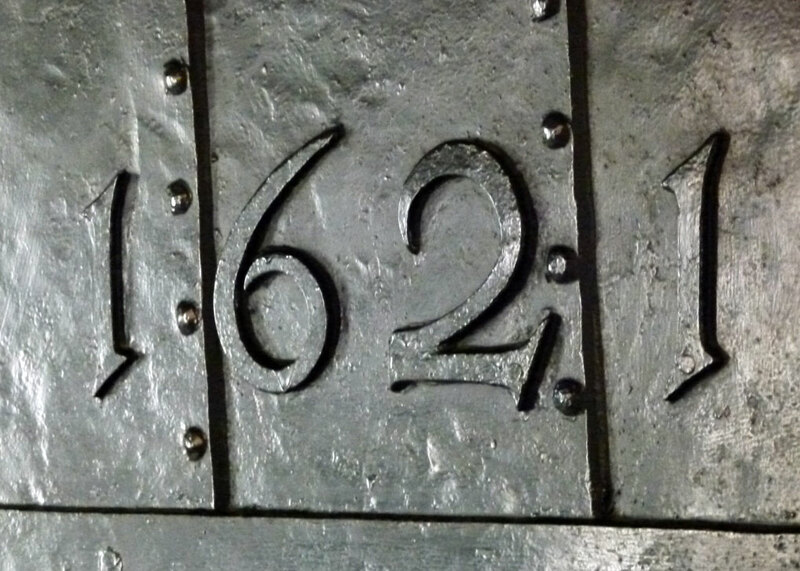 The date was emphatically added to the door – and the cipher of James I to the lock plate. In the early 18th century, improvements were made to the building, including the windows you see today; and shortage of space meant that records storage had to extend to the second floor. 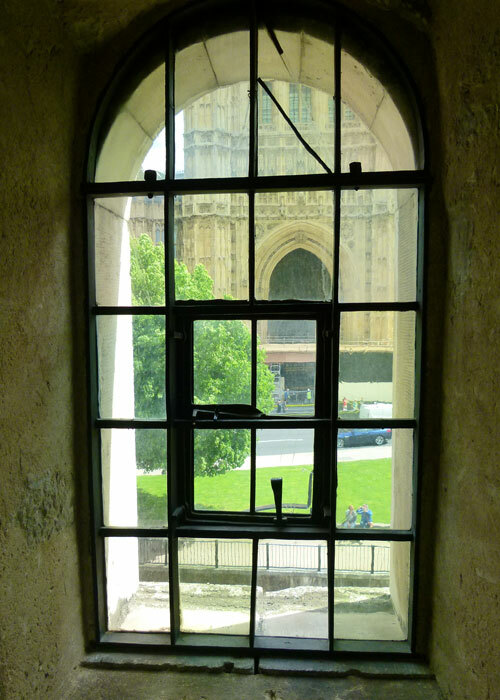 In 1834, a devastating fire swept through the main Palace of Westminster. Fortunately, the tower’s disconnected location saved it, and its records, from destruction – though almost all of the records of the House of Commons were consumed. The Jewel Tower is one of just four medieval buildings that survived that fire, and the subsequent reconstruction of the Palace of Westminster: the other three are Westminster Hall, the chapel of St Mary Undercroft and St Stephen’s Cloister; all are still in use, though there is no general public access to the chapel and the cloisters. In 1864, the records in the Jewel House were moved to a purpose-built repository inside the massive Victoria Tower, opposite. The records held in the Jewel Tower included such historically important documents as King Charles I’s death warrant (1649), the Bill of Rights (1688), the Act of Union between England and Scotland (1707) and the Slavery Abolition Act (1833). Parliamentary records were – and I think still are – rolled for storage and written on vellum (though I believe that might be changing). From 1869 to 1938, the Jewel Tower was a testing facility for the Board of Trade Standards Department (aka ‘Weights and Measures’) and historic standards of weight, volume and dimension were held on the second floor. These were the people who could tell you what a ton of bricks really meant, whether you had actually gone that extra mile – or, indeed, what’s afoot. Despite being damaged by incendiary bombs in May 1941, the next major event in the Jewel Tower’s long history was the radical demolition of surrounding buildings – including some 18th century houses and the house and garage of the Prime Minister’s chauffeur – which allowed the excavation of the medieval moat and, presumably, revealed the building to the general public. 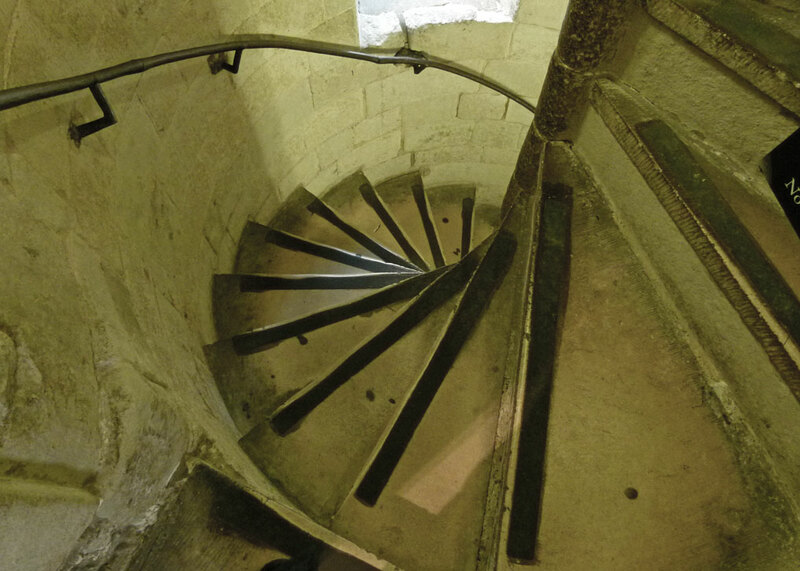 A visit to the Jewel Tower is to take a short, but oh-so intriguing, trip (in an exciting part of the Capital) through aspects of history you don’t often think about, but which have been at the epicentre of a developing state – first England, then the United Kingdom – for hundreds of years. There are displays on each floor which nicely illustrate the different phases in the building’s past, and some fascinating artefacts found nearby – not least a high-end Anglo-Saxon sword dated to around 800 AD, which was found during excavations of Victoria Tower Gardens. On the ground floor is the inevitable shop, where you can also buy a welcome (but awful) cup of coffee. Look up; there’s a wonderful medieval vaulted ceiling, with sculpted bosses of human and mythical heads, some of them grotesque. When you’ve finished, think about wandering through the streets to the south, around the back of Westminster School. It’s a little bit of what you might call ‘Disney London’; spot the blue plaques. Or you could take your chance with the journalists and politicians on College Green – there’s an interesting – and slightly worrying – article about this on the BBC’s website. Does the word “privy”, when used as an adjective (as in Privy Chamber), mean “private”? I enjoyed this, Mike! Yes, you’re right, privy in this context means ‘private’. I used to work just off Parliament Square and loved wandering about the back streets in my lunch break admiring the architecture. I never had the time to visit anywhere and I’m not sure if the Jewel Tower was open to the public in the late 70’s. I haven’t been back to Westminster since then and am not likely to until things settle down a bit but this is definitely a place I’d love to visit. Thanks for the interesting post, Mike. The reconstruction drawing was really helpful. Perhaps it would aid debate were we to send some of the ‘gems’ of the House of Commons to cool their ardour in the Jewel Tower. I’m inclined to suggest we get rid of the whole lot, draw up some new guidelines and start again. Very fed up with these clowns wasting my money, quite frankly. I can well imagine the Jewel Tower could become a repository for sundry Royal bric-a-brac.. that happens in all our homes. But the Weights and Measures Department had altogether a different role. I visited the tower a few years ago and I got a small piece of pottery from there. 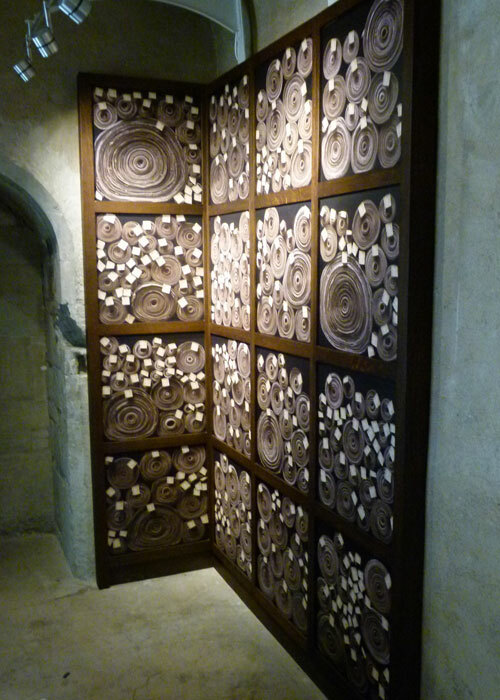 It was made in the 15th century and discovered in a nearby when the dug up for repairs (if I remember correctly). Those fragments of pottery were for visitors, for a donation. I keep that piece on display in my living room. Interesting. Thank you for dropping in! That was once more an equally interesting and entertaining article, Mike, thank you! I found this post fascinating. I have walked past the Tower on numerous occasions but not ventured inside. Need to put that on the list but for the moment I am keeping well away from the circus at Westminster. When I lived in London I spent my time wandering the back streets of London, particularly the city. The architecture and hidden gems are well worth the wander. Many of them you discover by pure chance, just by looking around and avoiding the tourist routes. That said, London is full of history and this is another part I knew nothing of. Great post Mike. I loved this post, you know I do! Or maybe, April, with the seas rising, perhaps folks making these decisions don’t expect it all to last even two hundred years. To put paper storage so near the river must have taken some forethought. Perhaps the building is so thick of wall, floor and roof as to resist moisture? Still, I’d expect some help from a dehumidifier, given the location. But conditions, are, often, I realize, different over there than over here. Though hanging on by Parliamentry fingernails, the day of the paper records might not last much longer. Computers will likely hold it all soon. Do you suppose we will live to see that day?????? What’s afoot? The game, Watson! Absorbing post as usual. This is one I missed. We should take time to explore the back yards and side streets. A fascinating place. Thank you for the tour! It’s beautiful. Such rich history, seems a shame somehow to use a building like this for a store/shop. I see you guys have the same issues with the dolts in authority according to Bill Nicholl’s comment. Those in our WashinKton are a bunch of clowns. I would love to visit this place, beautiful photos. Fab post Mike, but it must be mad down there at the moment! I think you’re right about parliamentary records going from vellum to paper. I’m sure I remember hearing someone say it’s a bad move, since vellum lasts for more than a thousand years and paper about two hundred. Perhaps they don’t think there’s much worth keeping for posterity at the moment.